Kate provides case design support in the areas of estate and business planning helping to create sophisticated personalized strategies for individuals, families, and businesses. Prior to joining Barnum, Kate was an estate planning, probate and elder law associate with the law firm of Bishop, Jackson & Kelly, LLC in Milford, Connecticut. She assisted with legacy planning and estate administrations as well as public benefits and special needs planning. 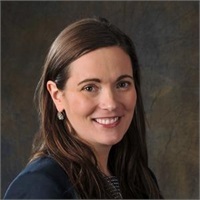 Kate is admitted to the Connecticut Bar and is a member of the Connecticut Bar Association’s Estates and Probate and Elder Law sections. Barnum Financial Group, does not provide tax or legal advice. Please consult your tax advisor or attorney for such guidance.